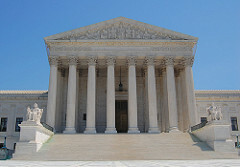 Following the nomination announcement of Judge Neil Gorsuch of the U.S. Court of Appeals for the Tenth Circuit to become the next Associate Justice of The Supreme Court, the Library has updated the Supreme Court Nominations Research Guide. We have compiled a list of resources concerning Judge Gorsuch which include biographical information, court opinions, appellate briefs, Congressional hearings and scholarly publications. We will continue to post more information, including links to confirmation hearings, so check our guide often for updates. This entry was posted in News for Faculty, News for Students, Research, Supreme Court and tagged supreme court nominee on February 3, 2017 by Thanh Nguyen.